From the Allan Herschell carousel factory in North Tonawanda, NY. 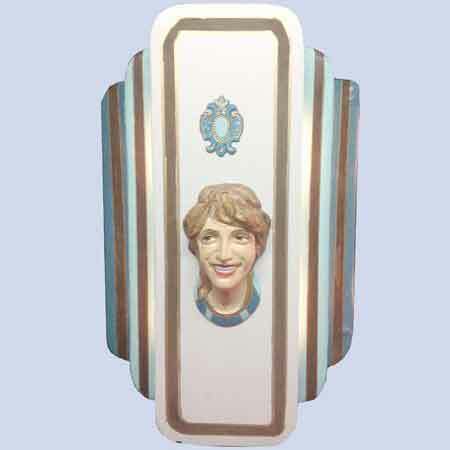 Two functional lights in the rear illuminate the 3 tier Art Deco style panel bearing a cast metal Lady head stamped with the date 1919. Recent restoration. 35 high x 23 wide x 10 deep.